In order to be your complete supplier, we have developed our mechanical department from being simply able to make repairs to damaged rollers, to making them from scratch and offering full roller services. We can change bearings, measure axles, substitute or repair crooked plugs and turn mantles. We can carry out crack indication tests, service grinding and dynamic balancing. We can even measure up existing rollers to make up new ones. Complete rollers can be made based on drawings or our measurements. We work together with SKF, which has trained us regarding bearings and carries out all necessary bearing changes. 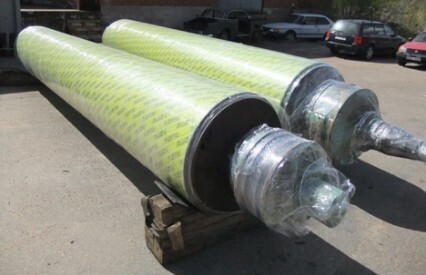 If the packaging seems inappropriate or lacking, we will make new packaging to ensure the roller arrives at your door in the same perfect conditions it leaves our facilities.